It’s the Chinese New Year season again and before long, the Year of the Pig will be ushered in with bouts of celebration. 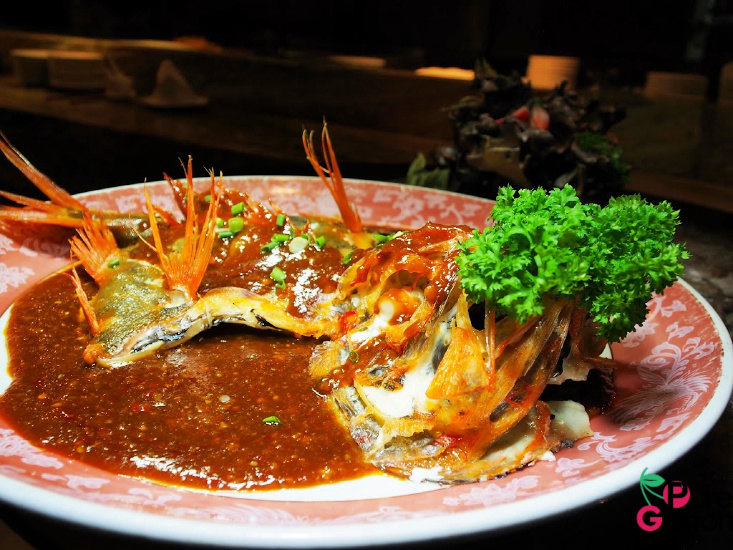 What better way to celebrate than to gather family and friends for some good makan sessions? 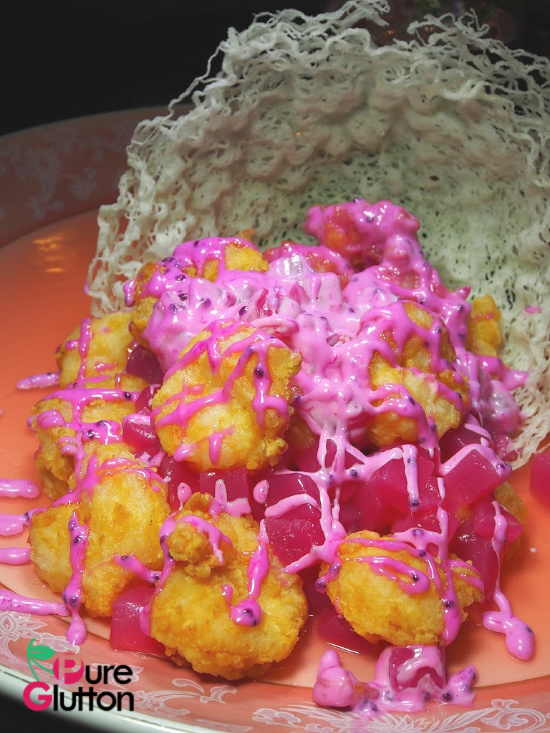 In anticipation of this, the culinary team at Hilton Petaling Jaya is all geared up to give guests a rousing delicious welcome for the “Year of Blooming Abundance”. 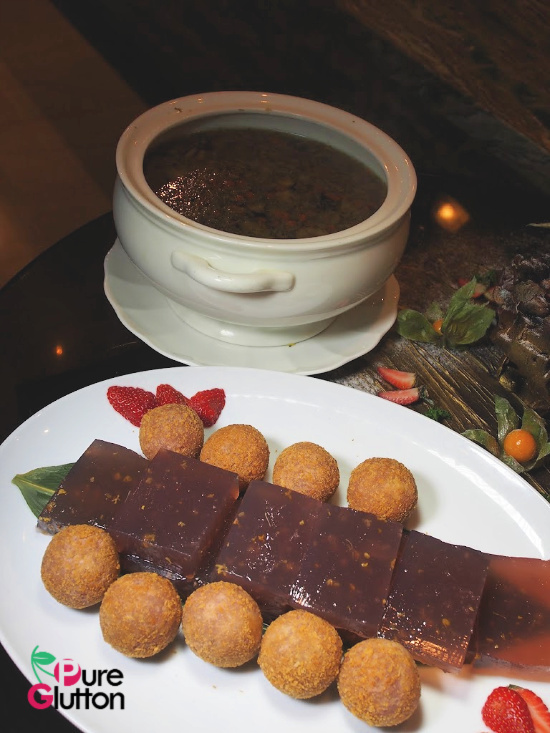 The main happenings will be at Toh Yuen Chinese Restaurant where several special set menus have been curated for the lunar new year celebrations. The set menus all come with meaningful names; starting with “Everlasting Happiness” @ RM1,988; “Luck & Joyfulness” @ RM2,288 and “Abundance & Prosperity” @ RM2,888. All prices are net and for table of 10 people. We had a taste of various dishes from the special set menus recently – a plethora of traditional favourites, starting with Yee Sang, of course and followed by braised, steamed and fried dishes, all using premium ingredients with auspicious tidings. 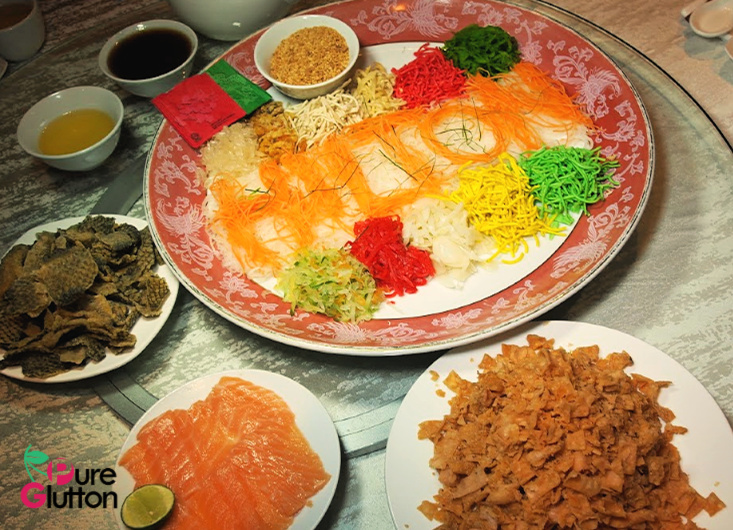 Crispy salmon skin and fresh salmon slices gave the Yee Sang a rich crunchiness like no other. 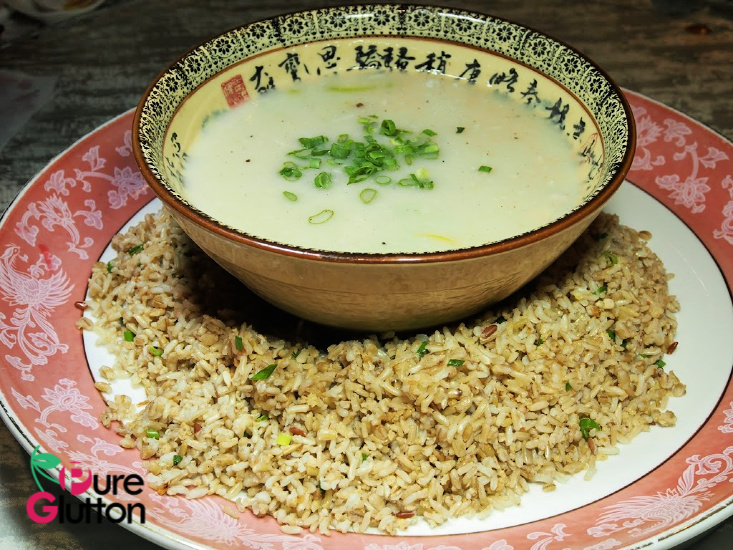 The double-boiled soup using minced chicken and eggwhite was a lovely combo of sweet umami-ness (thanks to the dried scallops) and silky smooth texture of the beaten eggwhite. 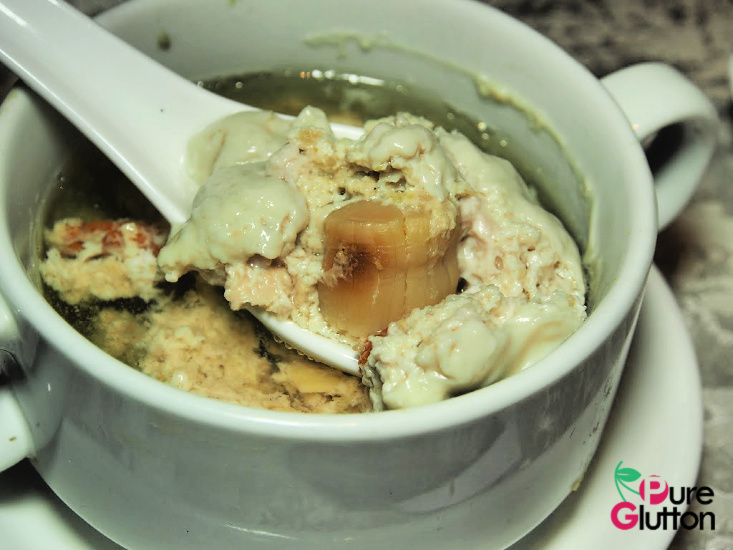 The braised dish of gluten balls (sangkan), oysters, shell abalone, Hericium mushrooms and sea moss had a delightful mix of tasty earthy flavours, balanced nicely with some seasonal vegetables. The Orange Roughy Fish from New Zealand was something new – a rather fearsome-looking fish but with a delicate and tender texture. 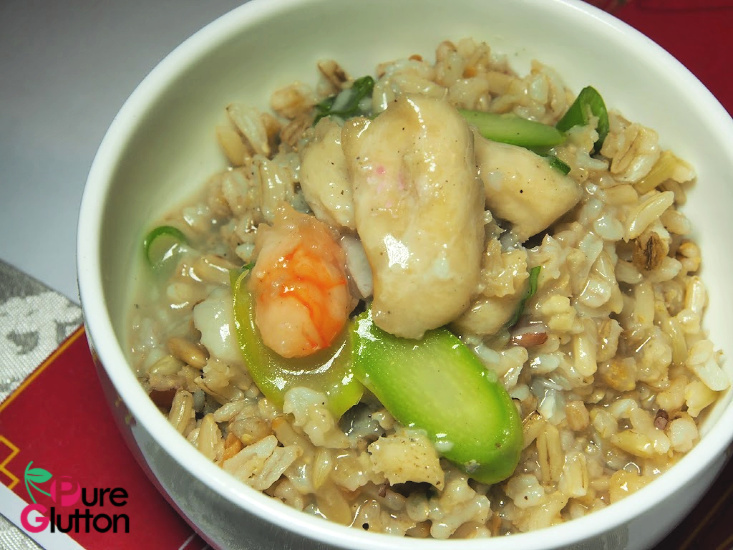 We felt the natural sweetness of this fish was rather overwhelmed by the thick bean sauce. 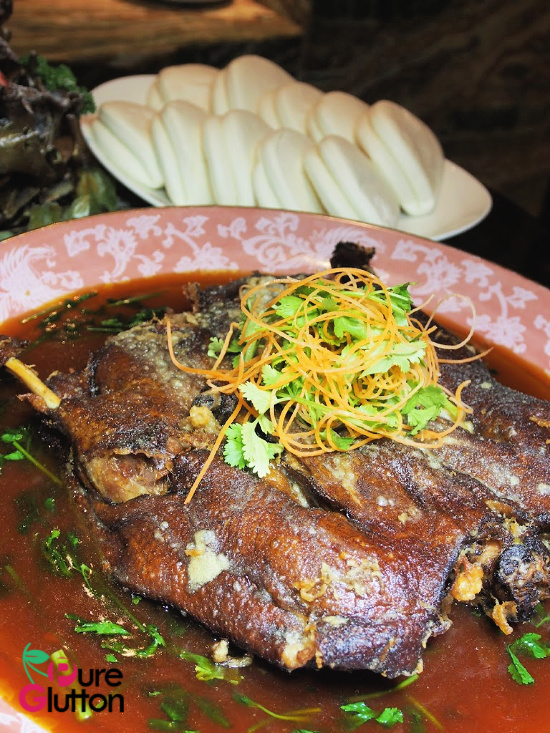 The braised oriental-style duck was a labour of meticulous patience. 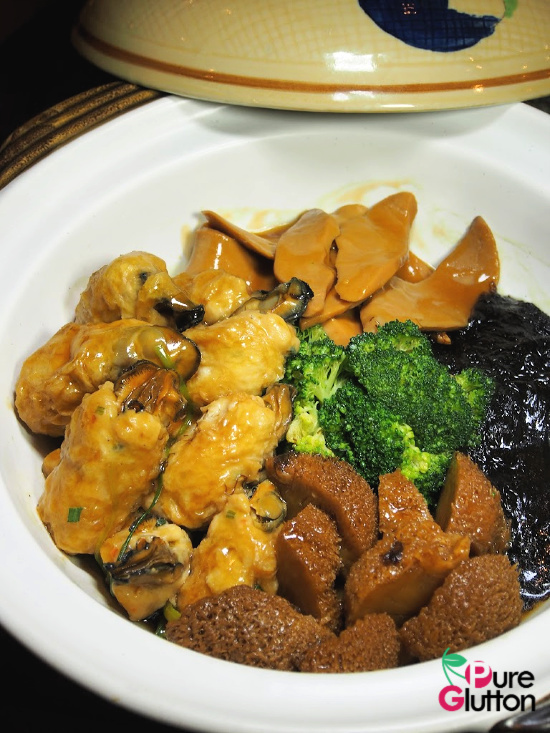 The chef explained that the duck was firstly marinated with 5-spice powder and Chinese herbs before being deep-fried, then braised for 4 hours before finally given a dusting of flour and quickly fried before serving. 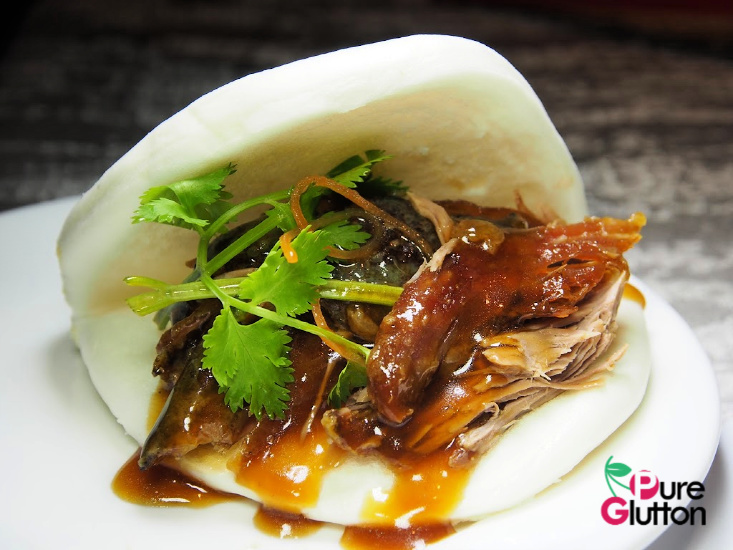 Hence the duck skin had a nice crisp bite even when eaten within the folds of a soft warm mantou. 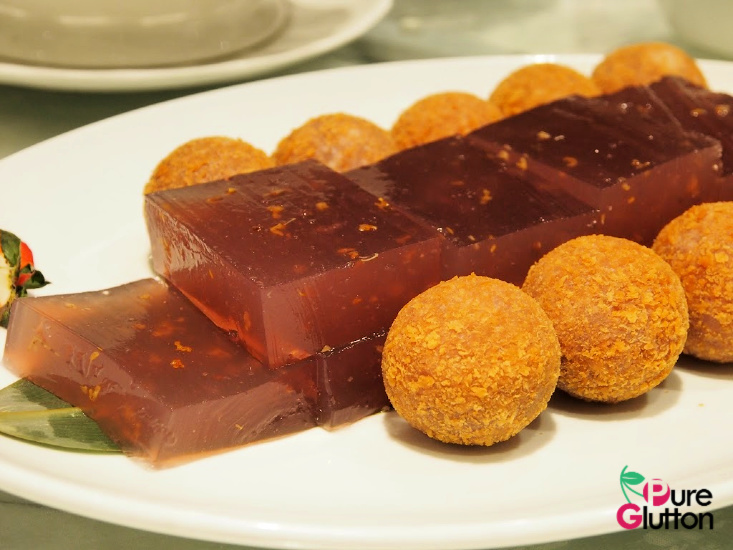 Always end your dinner on a sweet note and for this, Toh Yuen’s nian gao, crystal jelly and hot chrysanthemum tea with red dates and ginseng was a perfect finish to a satisfying and abundant meal.